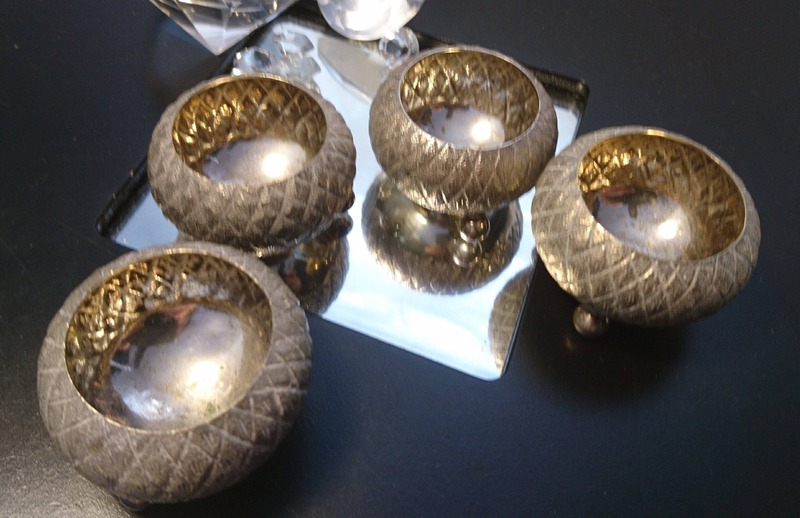 A charming set of 4 vintage 30's white metal and gilt lined salt cellars. 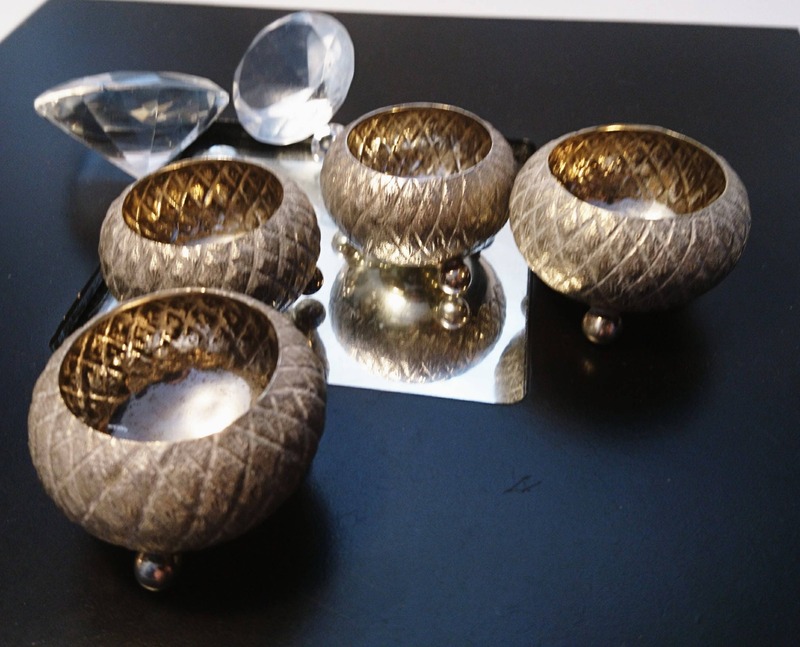 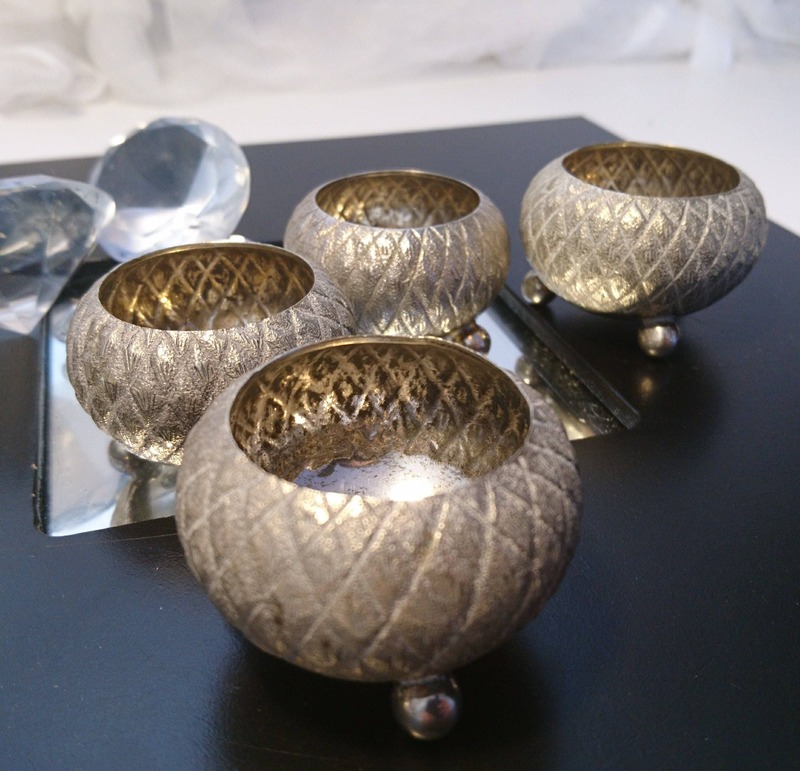 These charming little salt cellars have a lovely hatched pattern in the cut of the metal which reflects the light beautifully. 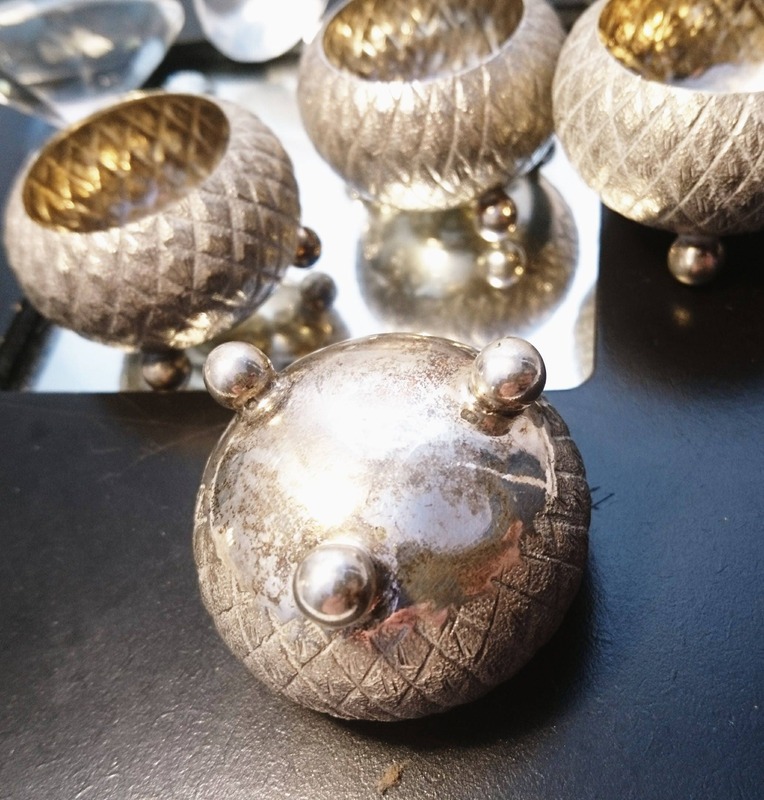 The salt cellars are in a good vintage condition with slight wear to the gilt lining from use but overall great condition.